Jaipur, March 25: As Rajasthan Royals (RR) are set to take on Kings XI Punjab (KXIP) in the Indian Premier League (IPL) at the Sawai Mansingh Stadium here on Monday, they consider Chris Gayle as a dangerous player and hope to devise new strategies on ground, depending on the play of the rival team. "Rajasthan Royals is not going to take the Kings XI lightly. Gayle is a dangerous player. Also, it's not only about him, but the 11 players who represent the team. We are not going to take them or any of their players lightly," Rajasthan skipper Ajinkya Rahane said. 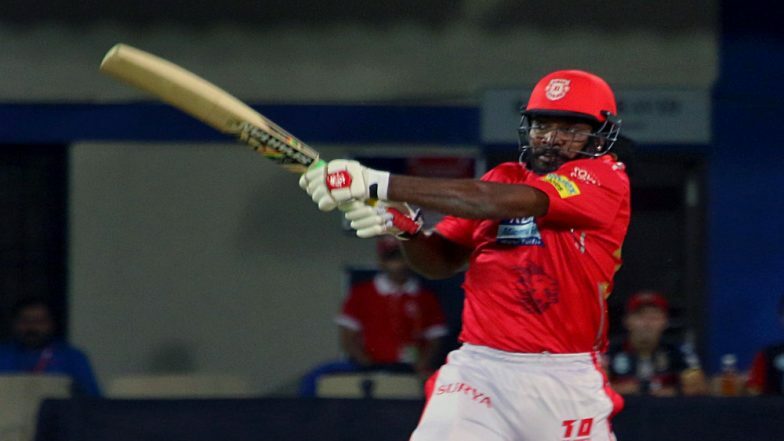 RR vs KXIP, IPL 2019 Match 4, Key Players: Chris Gayle to Ben Stokes to Jos Buttler, These Cricketers Are to Watch Out for at Sawai Mansingh Stadium. While the RR worries about the Gayle factor, Punjab is banking on the Caribbean's experience. RR vs KXIP, IPL 2019, Jaipur Weather & Pitch Report: Here's How the Weather Will Behave for Indian Premier League 12's Match Between Rajasthan Royals and Kings XI Punjab. Punjab skipper Ravichandran Ashwin said: "The team is happy to have the Gayle's experience in dressing room. Last year, he was quite focussed and the team performance was also good. As Gayle is getting old, his energy is getting higher. It's great for the team. "He is the player who loves interacting with young team and shares his experiences with them. This time again, we are looking for more strong partnerships here." Ashwin said there are other exciting players too. "We have balanced team and are hoping it to be an interesting match," he said.